Chances are, you already know how important it is to get your company featured in major industry publications. 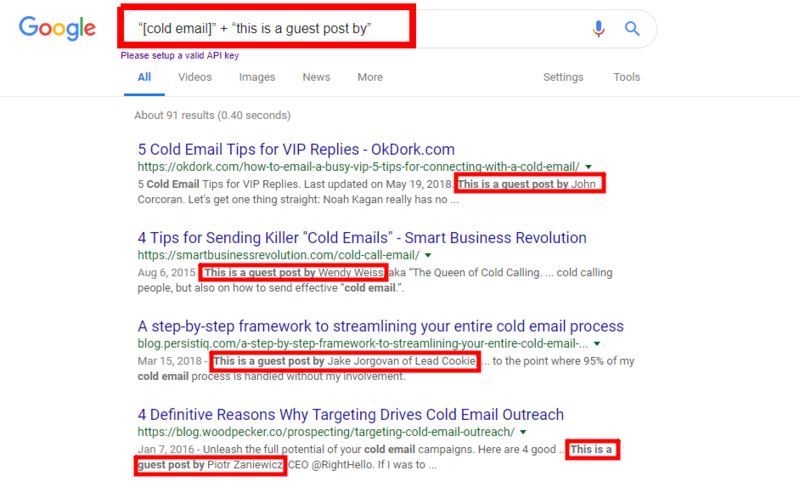 After all, high quality guest posting can do a lot to grow your company - build awareness, bring in targeted traffic, earn links, and increase your revenue. However, we both know how hard it is to get your pitch noticed in an editor’s busy inbox: You’re competing with hundreds, maybe thousands, of pitches. Truth be told, you will get rejected. Some editors will delete your email. Others will ignore it. So, what can you do to increase your odds of getting published? 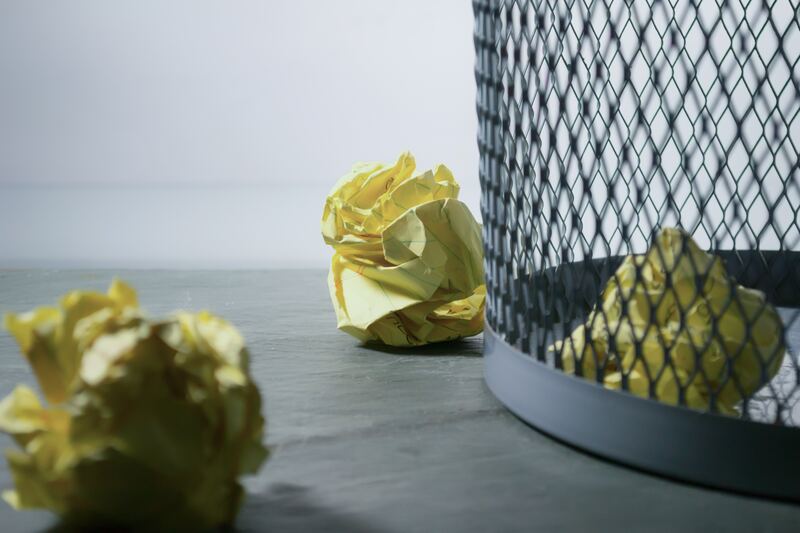 Like anything else in life, there are best practices that you can follow to greatly increase your chances of success...and common pitfalls to avoid. It can be done. I was able to get featured in Forbes and Entrepreneur in less than a month. If you follow the strategies I’m about to share with you exactly, pitching will feel more natural and less scary. And you’ll be more likely to succeed. Avoid being overly self-promotional. Editors can smell that from a mile away. Don’t submit duplicate content. It’s disastrous for SEO, and your reputation as a writer. Try to build a genuine relationship. You’ll get a lot further with a relationship-building approach than you will being transactional. By combining the two, you can leverage their audiences to get more eyeballs on your content, and appear more authoritative to potential clients. It’s important to make sure the blogs you’re pitching are high authority and have significant traffic. You may want to use a tool like Ahrefs to look at their estimated traffic and domain metrics. If the metrics are encouraging, dig a bit deeper into the site to determine whether the content you want to produce will be a good fit. Once you've done that, it’s time to start writing your pitch. In a recent interview, Forbes’ Head of Editorial, Loren Feldman, he said that he replies to only 5% of the pitches he receives. Feldman also added that the reason he deletes most of the cold pitches is that the sender didn’t take the time to understand what type of content Forbes is looking for. In other words, he receives generic pitches all the time. Cold pitching 101: If you don’t have a compelling reason to reach out to that specific publication, don’t. Many people forget this advice. Instead, they complain about how hard cold pitching is and that it’s nearly impossible to get an article published on a major blog. The truth is, once you understand how the process works, it’s possible to achieve a high success rate with the publications you pitch. Let’s discuss each one in more detail. You want your email to be opened, of course, and open rates are driven almost entirely by how good your subject line is. Although editors’ inboxes are crazy, most of them try to keep up. To write an intriguing subject line, we need to understand what the editor is looking for. Let’s consider two different types of editors. An editor at a publication: You have to be careful here, because many publications have a team of editors who manage different sections. There may be one editor who covers the marketing section while another manages the news section. So only email the editor who covers the topic area relevant to the article you’re pitching. An editor for an industry blog: In most cases, a top-tier industry blog is managed by one or two editors and it would be appropriate to contact either. Once you've identified the editor you plan to reach out to, how can you come up with a captivating subject line? I can tell you to be creative and make it interesting like most articles out there, but let’s get more specific. Editors all really want the same thing: Exclusive, non-promotional content that contributes to the overall conversation of their publication or blog. Obviously, that content needs to be well-written and factual as well. A good subject line might be: Exclusive article on [topic area] for [writer’s name]. Before reaching out, it’s important to study the website you’re pitching. Read some articles, and try to uncover gaps in the content they haven’t yet expanded on. Use that concept in your subject line. Another good subject line to try is: Fresh perspective on [topic idea] for [Blog/Publication's name]. 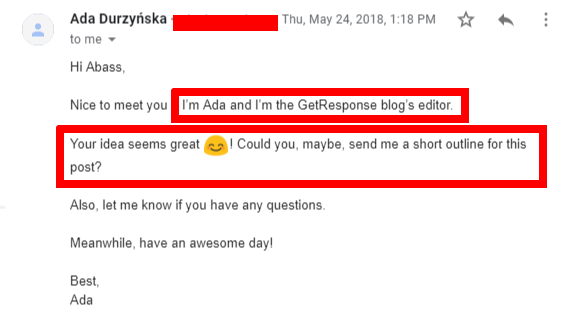 So by just adding the editor’s name into the subject line, you have increased your chances of them opening your email and considering your pitch. Don’t overthink it. Editors are always in need of good content, and your subject line’s role is to grab their attention, so focus on that without being misleading. Keep it short, compelling, and undeniably targeted towards the exact person you’re reaching out to. That’s it, nothing too complicated here. One nice thing about editors is that they’re typically easy to find. They’re often active on social media, especially Twitter. Some even put their email address in their Twitter bio. Editors appreciate it when you show them that you invested some time to figure out who they are, what they're interested in, and how they approach content strategy for their respective publications. With a quick look at their Twitter profile you can glean lots of great information to personalize your introduction. Be sure to read some of their content and comment on it in your outreach. 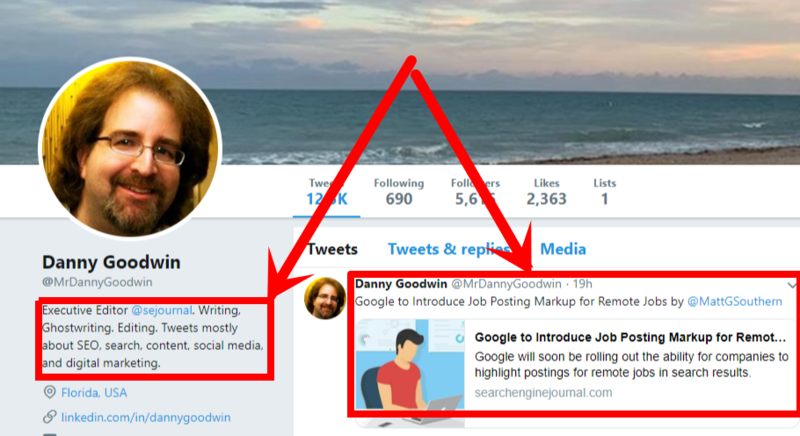 Let’s consider an example, assuming I wanted to reach out to Danny Goodwin, the Executive Editor of Search Engine Journal. 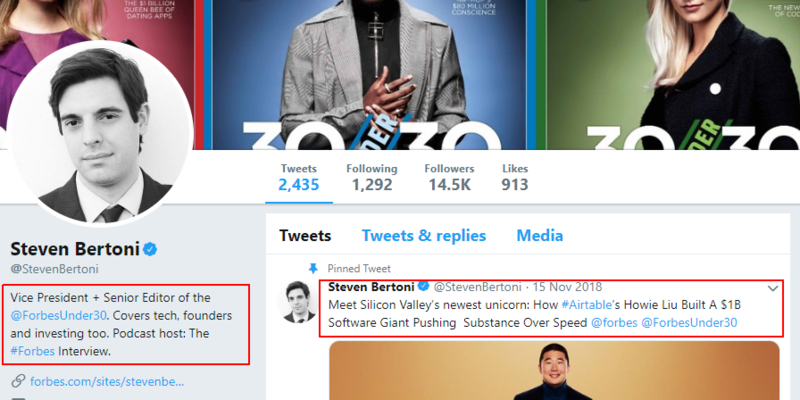 Looking at his Twitter profile, you can see that he’s really focused on writing and content marketing, both in his bio and in the content he shares. Because he's so focused on his work, it would probably be best to read some of the content he's publishing and provide thoughtful commentary, rather than trying to force a personal remark. My opening line might be: "Hello Danny, I really enjoyed your recent article on [topic]. The insights on [my detailed takeaway] were of particular interest." Boom! You now stand out from leagues of people who did zero homework before reaching out, and have greatly increased the odds of that editor reading your email and responding favorably. When you’re working on collecting editors' emails, keep a tab in your spreadsheet strictly for personalized lines to use in your introduction. 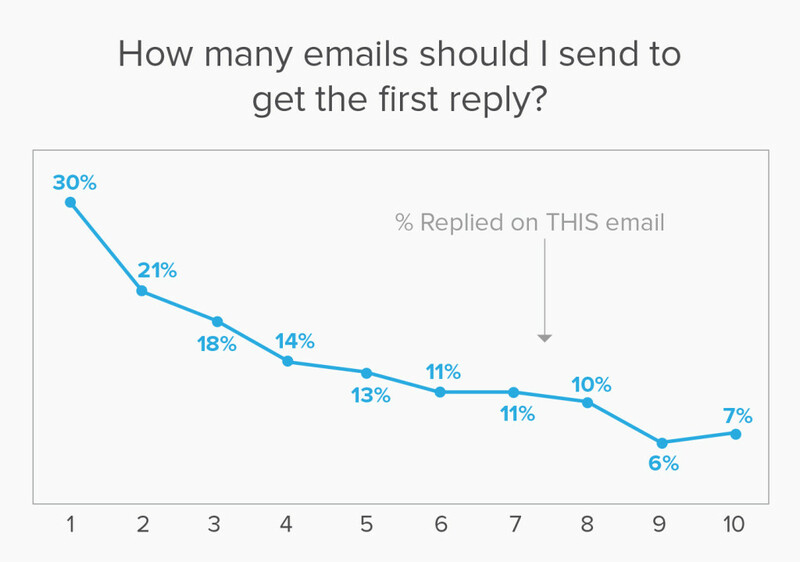 It’s really easy stuff and can boost your reply rate dramatically. Remember, the introduction can make or break your email, so take it seriously. Be sure to pitch ideas that are specific to their publication, and don’t go pitching the same ideas to every blog under the sun. Just think about it. If they all said yes, you’d need to write several different versions of that post unique enough to avoid being flagged as duplicate content. Not fun. 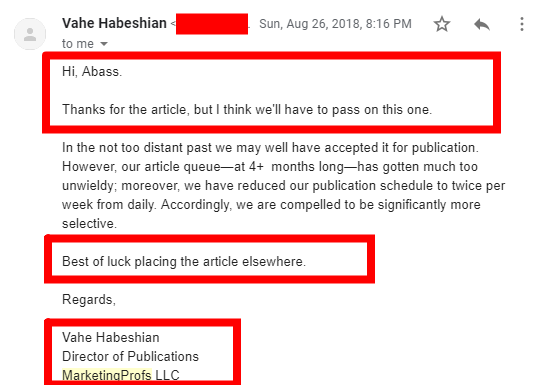 Writing a bunch of articles and sending them to the same publications isn’t good; it’s just a good way to get your content ignored or even declined. Instead, be strategic about the content you want to guest contribute. If your content is ultimately rejected, feel free to pitch it to another publication afterwards. But, what to do when you can’t seem to find a gap in the content? I’m not saying that sending a completed piece in an email is a BAD idea, but from my own experience, you should only do this if you have a really deep understanding of that publication or an existing relationship with the editor. One strategy we have seen a lot of success with is the complementary content idea. Have you ever felt that a writer has done a great job with a given article, but you wish they had delved deeper into a certain aspect of it? See that as a door opening; you can be the one to fill the gap. 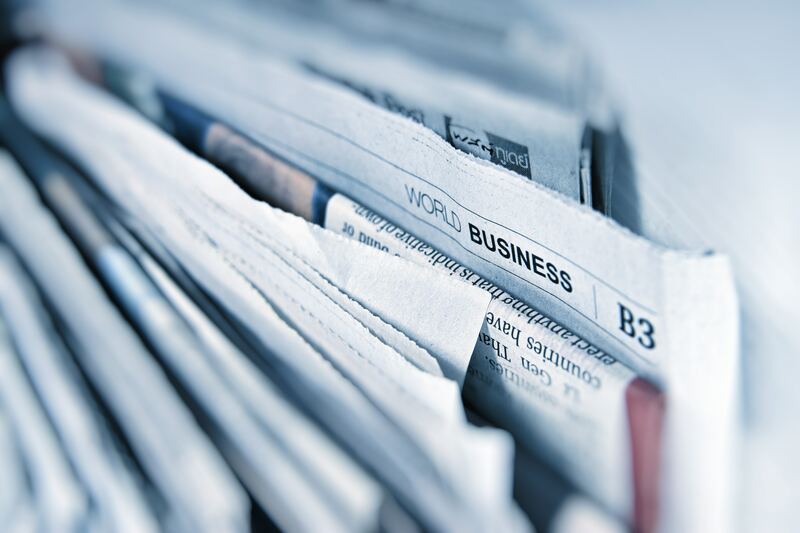 Read some related articles on the topics you’re most knowledgeable about to see if you can spot any opportunities, which may include subjects the publication hasn’t already covered, or angles on a familiar topic they may have missed. You can search for this content by using the search query “site:sitename.com + content idea” and see whether they've covered it or not. That’s just an example. You’ll need to add your own spin to make it really stand out. While none of these steps are difficult on their own, very few people are ready to put in the work and effort to come up with content ideas based on research; they somehow think great content comes out of thin air. Beyond understanding what sort of content the publication is looking for, it can also be good to have their editorial guidelines in mind. In case you don’t already know, editorial or publishing guidelines are sets of rules and processes that govern how a given company creates content. These could include content areas the publication will and won’t cover, guidelines on their preferred structure, standards for research and citing sources, or style preferences. By crafting your pitch and content with these guidelines in mind, you’ll make the process easier for their editor, and consequently increase your odds of a successful pitch. Editors are incredibly busy people with a lot coming across their desk. They have plenty of different stakeholders to juggle — their audience, advertisers, publication owners, other staff, etc. This doesn’t mean they’re not interested in guest contributed content. You just have to be patient and know that you’re not the only one pitching them. A recent study by Influence & Co found that there are certain times in the year editors are in greater need of guest content. That said, the same study found that the majority of editors report that they’re always in need of research-driven content. If you can take away one gold nugget from this article, let it be to never underestimate the power of your own experience. If you've lived it, you’ve researched it. Share your findings, failures, and successes. Editors can’t get enough real-world, inspiring content from genuine experts. Sometimes your emails will get buried in an editor’s inbox, or they may read it and forget to get back to you because they’re preoccupied with other tasks. Don’t take lack of communication personally and give up hope. Just follow up. Set yourself a schedule and stick to it. Don’t risk not getting your content published by giving up if you don't get a response to your initial inquiry. There are two ways you can go about following up. Automate the process or do it manually. If you prefer the latter, then you can follow this framework and track it in a simple spreadsheet. Six days after the initial email, I send a friendly follow-up asking them whether they have received my email or not. Five days from the first follow-up, I send a second email to check in and let them know I’m ready to send new content ideas if they didn’t like the ones I previously sent. A few days later, I send a third follow-up. This time, I try to mention a blog or a publication that I’ve contributed to so they know that I’m a contributor to other blogs as well and that my content would be a good thing for them to have on board. From there, I keep sending one email a month for three months. If I don’t hear back, I research to see if the editor I was emailing is still working at the same company or if he’s left. If that’s the case, I look up the new editor and then email him. Or you can automate all of this. We recommend using either MixMax or Yesware, both are easy-to-use software. We've included instructions for how to use both Yesware & MixMax in the free downloadable guide at the end of this article. "Reputations are built with content, but maintained with relationships. If you publish good work and you are a good, honorable, and trustworthy human being, your reputation will grow." One of the most important, and easily overlooked aspects of building your brand with content and succeeding in getting your content featured on major publications is relationship building. Put bluntly, most editors are going to be more responsive to pitches from writers and brands they already know and trust. Of course, building trust takes time, and that’s the point. "The biggest mistake I see companies make when guest posting is forgetting that they also want these posts to succeed. Rather than hanging up your hat once an editor agrees to publish your post, realize that you’re job is not done. The best thing you can do is to promote it aggressively. This means sharing it across your social media profiles, engaging with commenters and those who share the article, and possibly even asking other sites to link to the post. If that seems like a lot of work, that’s because it is. The way you become a true partner of the publication that agreed to publish your piece is to help them reach a wider audience. It’s easy to forget, but a simple thank you can go a long way. Whether it’s thanking someone for content they wrote which influenced your thoughts on a particular topic, or thanking someone for helping you out directly, it feels good to be appreciated. 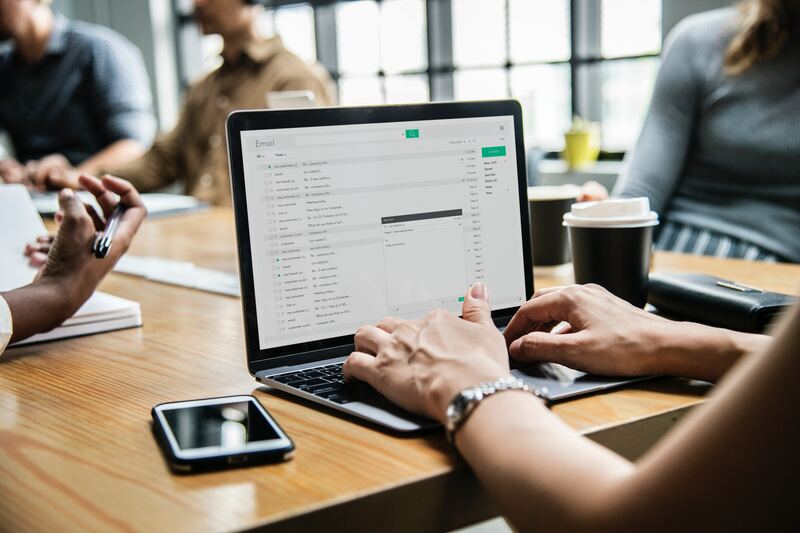 If the editor you're in contact with recently published a guest post you sent them, be sure to note any additional effort they or their team may have put in before or after hitting the publish button. Chances are, they did some degree of editing. Depending on the publication, they may also have put significant effort into creating custom graphics, writing social media posts about your content, or providing you feedback that can improve future articles. Make sure they know you recognize and appreciate their work. Make sure you’re reading a decent portion of the content published by publications you admire. Not only will you learn a lot, but you’ll be able to identify which pieces stand out, and are worthy of sharing with your followers. This goes back to being less transactional. In order to be truly successful with content marketing, you’ll need to get out of the mindset that each interaction is a “this for that” exchange. Just make sure the content you’re sharing is genuinely good, and relevant to your audience. You wouldn’t want to dilute your own brand by sharing content that doesn’t represent their best work. Another often-overlooked tip to stay top of mind is to engage with that publisher (or the publication’s social accounts) even when you’re not actively pitching them. Everyone appreciates a positive comment, and it typically only takes a few seconds. If you want to take it a step further, elaborate on what aspect of their work you found interesting, or what other thoughts come to mind as you read it. If you take the time to follow the steps outlined above, you too can craft stellar pitches that get you published, but it won’t be easy. In fact, it takes a ton of work to do content marketing the right way, and see the sort of traction that many companies only dream of. You may have become frustrated by past attempts, in which case now is your chance to revise your strategy and try again. We’ve put together a free download below that includes our top-performing outreach scripts, which serve as a good reference for how to reach out to editors in a way that gets results, as well as a free checklist for executing this process and our guide to automating your follow up emails. Grab those templates, and a polished PDF version of this post by clicking the download button below. And if you find this whole process of pitching editors and producing high-quality, relevant content a bit exhausting, check out our content marketing services to have it done for you. 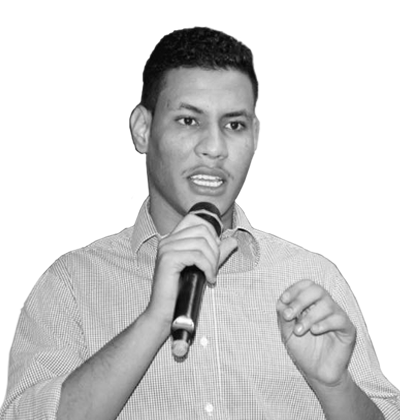 Abass is our Content Lead at Conversion Creatives. His writing has been featured in Forbes, Entrepreneur, Reuters and many other world-renowned publications.